Some very special teas come from a very special tea producer: JK Tea Company, Ltd. They sell direct and through suppliers like us. The company was established by a group of tea enthusiasts and experts in Guangzhou, China. Their goal is to share fine and rare Chinese tea to international tea lovers, and their expert team goes to various growers to get only the best tea leaves and guarantee the highest quality. The tea master on whose shoulders rests that reputation for quality is Jennifer Jiang. She was an interpreter, leading tours to some of the most beautiful tea-producing areas in China. This direct contact with those tea farmers inspired her to learn more about tea, the tea making processes, and how to judge the quality of each tea. She added to this knowledge by attending a training course for the tea ceremony performance and taste and is now a certified tea ceremony performer and taster. In Spring and Autumn, Jennifer visits tea-producing areas of China, having built up a solid relationship with them, and selects teas of a quality in line with what her customers have come to expect. This direct connection with tea farmers and producers, which many other tea companies in China do not have, provides a consistency of quality that other tea factories cannot match. They then carefully store these teas so that the teas are at their best when they reach you. Some are even frozen in vacuum sealed containers. Their pu-erhs are kept in a warehouse equipped with curtains to protect against light and a dehumidifier to prevent excess moisture from spoiling them. They also check each item before carefully packing and shipping to their customers and distributors. 2005 Nannuo Mountain Old Tree Raw Pu-erh — Made of tea leaves from Nannuo mountain located in the eastern portion of Menghai County of Yunnan Province’s Xishuangbanna Prefecture and grown at an average elevation of 1,400 meters above sea level. Sought after by Pu-erh lovers for its very sweet taste (even for the new raw Pu-erh) and the rich honey aroma without any astringency or bitterness. Pressed in 2010 but uses a Maocha (uncompressed tea material) that has been stored in Yunnan for 5 years before pressing. You can infuse this tea in a gaiwan at least 13 times. 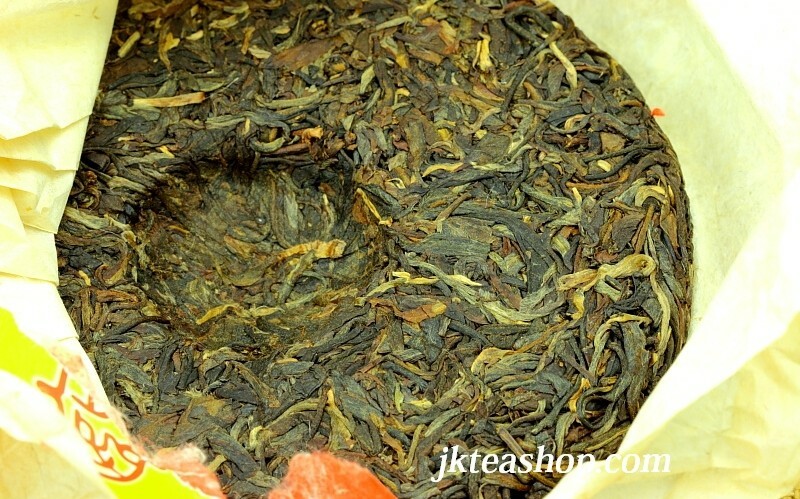 2010 Spring Mengsong Mountain Nanbenhe Village Old-Tree Raw Pu-erh — The leaves are from Mengsong mountain in Menghai county, Xishuanbanna bordering Burma. The people living in the mountains are descended from other who came there about 300 years before and began growing tea trees. They are mainly from three minorities — Dai, Lagu, and Hani. This particular tea is from the Hani village of Nanbenhei and the tea trees are grown almost in the bottom of the valley at the feet of the Mengsong mountains. 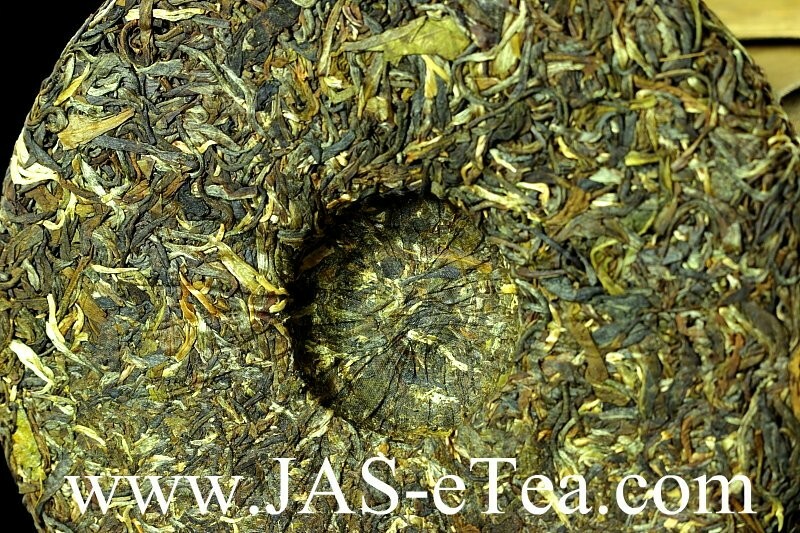 This tea is old-tree Pu-erh, stone-pressed, and has a deep aroma and throat feeling and honey sweetness. Using 5-8 grams, you can infuse this tea in a gaiwan at least 13 times. This entry was posted in Brands and Factories and tagged chinese tea, JAS-eTea, JK Tea Company. Bookmark the permalink.